The NT8 2.3 release introduces "Flexible Fingers", which help the NT8 detect the the optimal z-height of each tip during aspirations and dispenses, as well as liquid detection sensors and an enhanced look and feel to the software. Support for Additional Deep Well Plate Types. The NT8 now supports additional types of deep well plates. Choosing the appropriate type of deep well plate enables the NT8 to more accurately aspirate the solution from the plate. You can also manually edit deep well plate definitions. For best results, please make sure that the deep well plate definition matches the actual plate in use. Note: Deep well plates are only used in plate copy experiments, which require the plate copy attachment. Low Volume Tip Count Monitoring. The NT8 now monitors the number of low volume (LV) tips available. 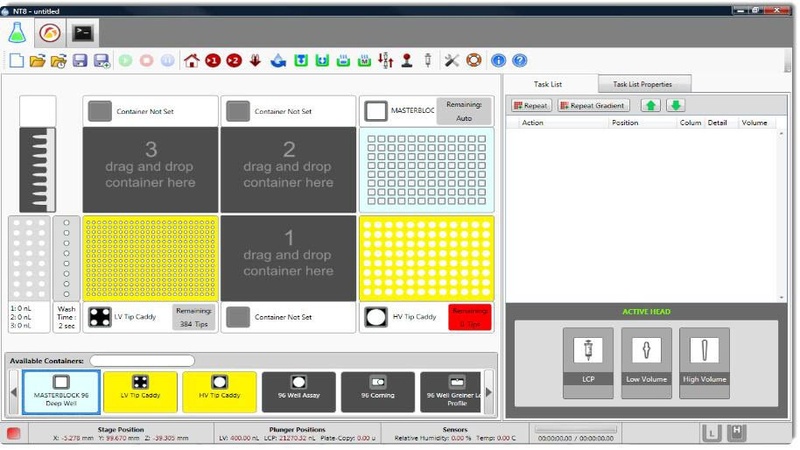 If you are trying to run an experiment that requires more tips than are available, the NT8 software displays a dialog box telling you how many are available and how many more tips you need. Support for More Display Aspect Ratios. The NT8 software now supports more display aspect ratios. You can now seamlessly resize the software window without display issues. We recommend a 16:9 screen aspect ratio. Flexible Finger Controls. The NT8 now has a flexible finger feature for more accurate dispensing. Before dispensing, the NT8 will automatically detect the Z adjustment value/position, which is used as a clearance between LV tips and the plate. The NT8 will adjust the fingers as necessary. 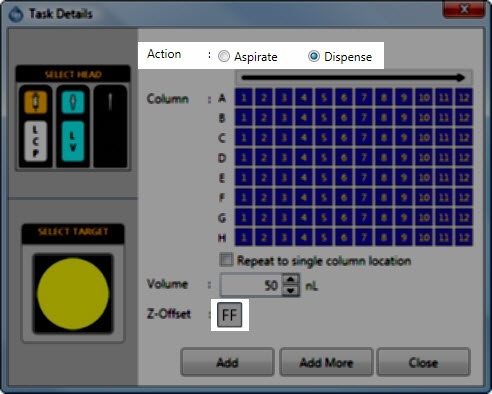 The flexible finger control can be found in the lower-right of the microplate Task Details dialog. Note: The LV tips attachment sensor indicators will turn off when the NT8 is ready for dispensing. Liquid Detection Sensors . The NT8 is now equipped with the liquid detection sensors on each of the high volume (HV) tip attachments. The system will automatically check the wells for liquid before aspirating. 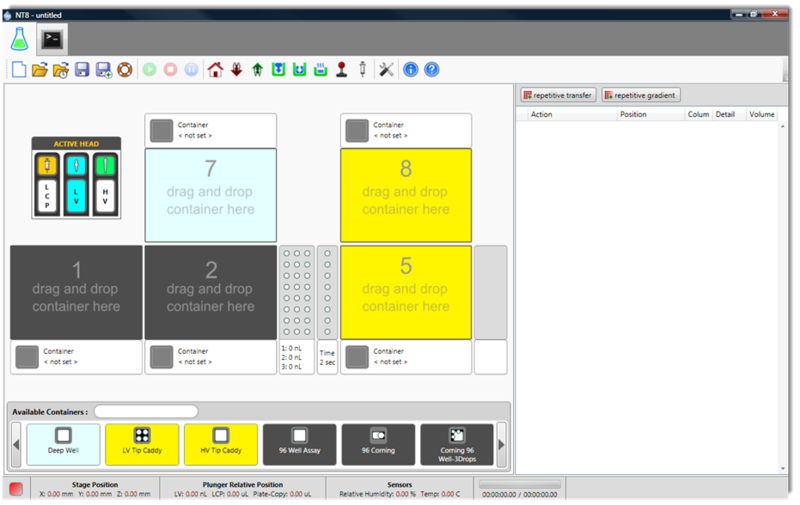 Rock Maker Integration Application. The NT8 now seamlessly integrates with Rock Maker allowing you to load and run an experiment from Rock Maker*. *Rock Maker version 2.4 or later required. User Interface Improvements. The NT8 user interface was improved to reflect the latest NT8 hardware platform. Below are some NT8 interfaces before (bottom) and after (top) the changes.